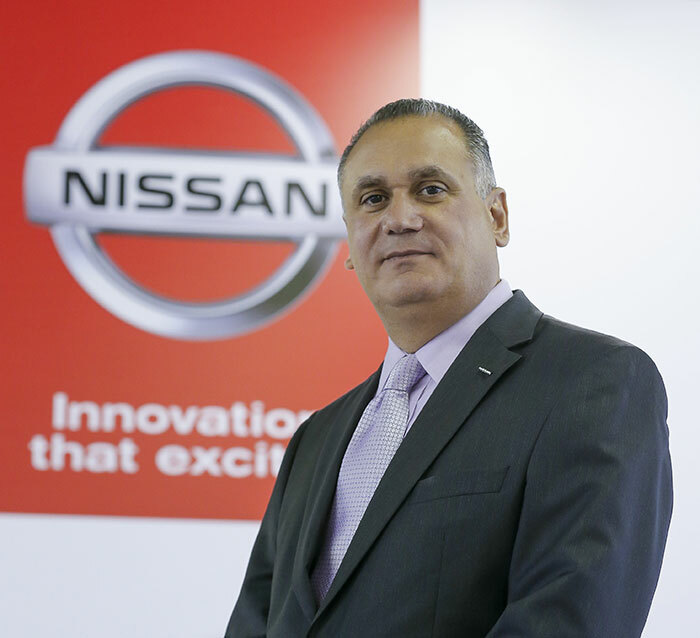 Fadi Ghosn, one of the automotive marketing experts in the Middle East has taken up a new position as the marketing director/chief marketing officer at Nissan Middle East. Ghosn is a veteran of the automotive industry and in his new position he will be reporting to Samir Cherfan, Nissan Middle East’s regional managing director. Commenting on the new addition to the team, Samir Cherfan said that marketing has played a pivotal role in supporting the companys continued growth and business expansion. He said that the company’s success in the region was underpinned by its strong product line-up. Nissan believed firmly in conveying the merits of its vehicles to the customers through impactful and effective marketing strategies and Fadi is expected to play a crucial role in this task in his new role. Nissan Middle East has gone from strength to strength in recent years and for the 2014 financial achieved record breaking annual sales figures of 219,129 units in the Middle East, a 3.3% increase over the 2013 figures. From the operational standpoint too, the company made a number of improvements with expansion of its marketing base to cover Turkey and a revamp of its operations in the Saudi Arabian market. “Fadi will be in charge of leading all of Nissan’s regional marketing activities alongside being responsible for our product and pricing the Middle East. His years’ of experience at the forefront of the automotive industry make him a highly-valued acquisition for Nissan,” commented Cherfan. Speaking about his appointment, Ghosn said the new additions to the Nissan portfolio like the NISMO range and the all new Nissan Maxima 2016 makes this an exciting time to join the company. Ghosn graduated in business administration from Ecole Des Hautes Etudes Commerciales in Montreal, and has longstanding experience of over 24 years in the field of sales and marketing. Having previously worked as the director of marketing, sales and service for Ford in the MENA region and as a senior executive for General Motors both in the Middle East and in Detroit, he is definitely the right person to steer Nissan’s marketing efforts in a new direction in the Middle East.